Get your brand, logo or messaging custom printed on sheet labels! Choose from a wide variety of material options and thousands of sizes. Whatever your need or application, we can accommodate. 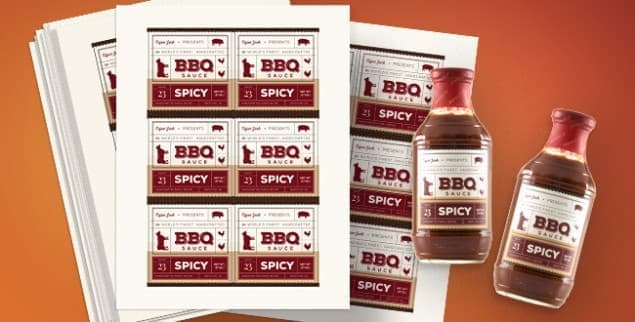 From 1 sheet to a 1,000,000 sheets - order custom printed labels for your next tradeshow, event or social function. They are perfect for laser and inkjet printers, when printed they display bright, vibrant colors. After all, we know - Sometimes, a label is everything!